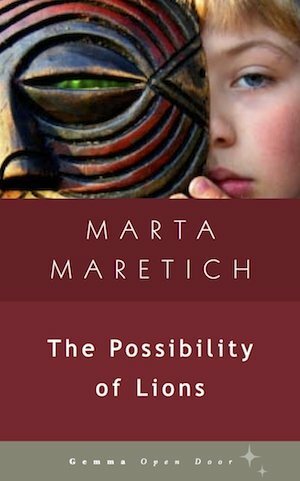 The Possibility of Lions tells the story of an American family forced to flee their home in Nigeria at the outbreak of the Biafran war. The McCalls wash up in a small town in California’s Central Valley, a “safe” place where nobody has ever heard of Nigeria or the war that cost them their home. On the surface, the family seems to slot back into normal life. But the trauma of losing everything — belongings, friends, a whole country — remains with them, poisoning their attempts to settle into their new circumstances. For a while the children and their fragile mother find comfort in the belief that one day they’ll be able to return to Africa. Their father, a hardbitten oil man who’s experienced war up close, knows better. As the truth sinks in, mother and children fall under the spell of another lost African, a former big-game hunter from the Congo. Like the McCalls, Anatole Hachette has been thrown out of his African home, taking with him a young Bantu mechanic and a large lion called Roland. Unlike them, he believes there’s a way to recreate Africa in exile. His grandiose dream — to establish a wild animal park on the dusty outskirts of town — seems to offer hope that the two worlds can magically be brought together in one place. But can what’s lost ever really be found again? And can Hachette convince the cautious locals to embrace the possibility of lions? The Possibility of Lions is a story about loss, love and the difficulty of finding a home in a changing world. It is part of the Open Door reading series published by GemmaMedia and has been selected by ProLiteracy, America’s leading literacy nonprofit, as a recommended book “for pleasure reading”. It comes with a free reading and teaching guide, prepared by the author, a qualified teacher of literacy, English literature and English language. Read more about the background to The Possibility of Lions and the literacy mission of Open Door. Download the free reading guide. Questions about the book? Contact the author.